The kids loved all the Halloween parties this weekend! The holiday, known as “Night of the Witches” in Serbian is not celebrated in Serbia, but in our expatriate circles and the international school, it is one of the most anticipated events of the year. Kids get so excited to dress up and trick or treat and even the non-American parents, get into the spirit of the event and dress up as well. 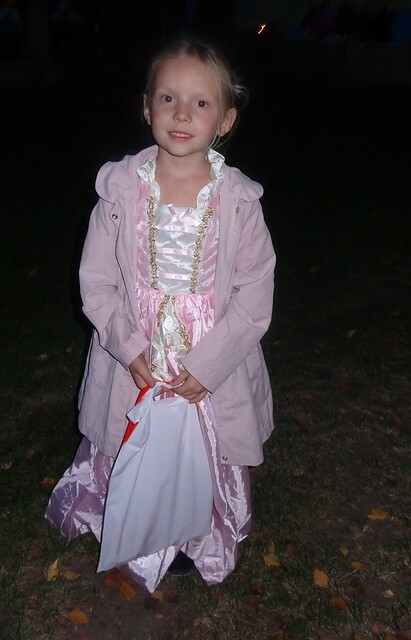 On Friday night the kids attended the school Halloween party (photo above). Owen’s outfit was from the obscure movie “Tron”, Oliver was Iron Man, and Ocean was a princess. The Canadian Embassy hosts a costume party every year and Nadia and I went with friends again this year. Our friend Claudiu brought costumes from the USA and we went with traditional Bavarian folk costumes. We had a lot of laughs and one of the best things about the night, is the costumes allow strangers to interact with one another. Everyone has their “act” with their costume or we try to guess what they are dressed as. 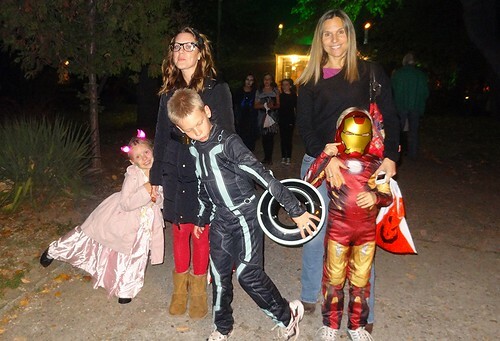 The fun continued on Saturday evening with the American colony, Banovo Brdo, hosting a trick-or-treat and party. The kids went around to many of the homes in the gated community. Then Robert and Julie turned their home into a Halloween Amusement Park with decorations, food/drink, and a haunted walk in their yard. Absolutely brilliant and I would like to give them a big thank you! The kids ran around and laughed and had a blast. A special part of the evening was Ocean losing her first tooth. She was so excited that her tooth just fell out. Nadia luckily found the tooth on the ground and the tooth fairy left 200 RSD for Ocean last night. My angel princess is so beautiful! Hello Bill, I am Canadian born and my husband was born in Serbia. We are living in Vancouver, BC now but in the next year we will be making the permanent move to Serbia. I find your blogs interesting and some of the anxiety of the move is starting to fade. Knowing that the Canadian Embassy does something like this is very nice. Do they have any other celebrations during the year? I am starting to learn some Serbian but it is not easy. Following your blog is now in my regular routine. Keep it up. The Canadian Embassy hosts parties in their bar on almost a monthly basis. Thank you so much, nice to hear. Maybe we will meet when we come to Belgrade next year.